Status at the construction site January 24, 2017. 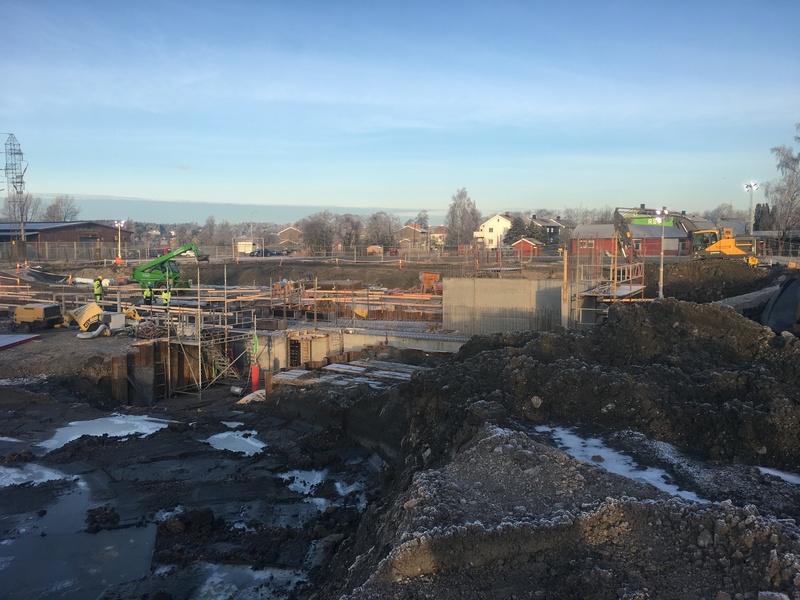 Fredrikstad Seafoods is pushing forward in its construction of Norway´s only commercial scale land-based seafood facility. Initial concrete work for our first production module is coming to an end, with start-up work for our second module commencing in two weeks. As a first important step in our environmental agenda we are using work machines powered by biogas on the site to ensure low emissions. In addition, we are using recycled concrete to reduce the Co2 effects of construction work in collaboration with our construction partner Entreprenor Roar Edvardsen. The project is on track with the first phase of construction set to be completed by early December 2017.